See below our Tourist Information about Lytham St Annes. 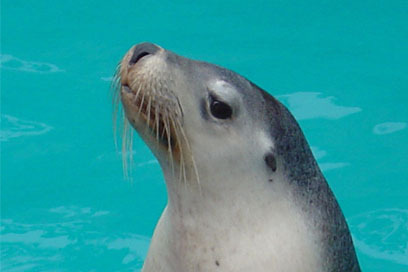 Details of our favourite places to visit are also at the bottom of this page. A haven by the sea available for day hire. Book via the hotel for best rates. 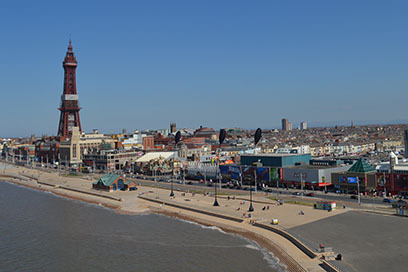 At Blackpool Tower discover the Eye, the Dungeon, the Circus, the Ballroom, Jungle Jim's. What is the beach like at Lytham St Annes? The beach at St Annes is a fantastic soft sandy beach stretching all the way up to Blackpool. It's a common past time to walk to the sea when its out and have a paddle when its in! Flanked with sand dunes it also provides shelter on breezy days. 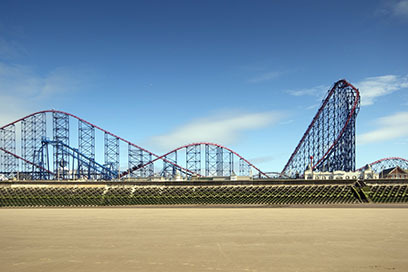 St Anne's Pier is open during the season with traditional attractions. Donkey rides are also available in the summer months. Keep an eye out for Kite Surfers all year round riding the shallow waves. 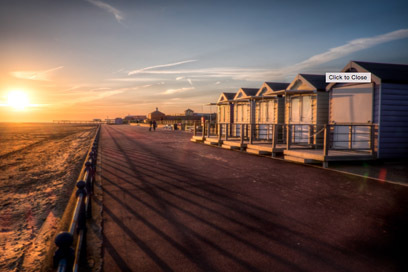 What is there to do on St Annes promenade? As well as St Annes pier, we host a plethora of activities including the famous St Annes Beach Huts, the mini-train, trampolines and bouncy castles, mini fairground (seasonal) mini links pitch and putt, a toddler play area, the YMCA Leisure Centre, The Island Cinema, (4 screen independent cinema) and RNLI Lifeboat station. There are also several cafés and restaurants along the promenade. What is typical Lytham St Annes weather? Less windy than Blackpool! However the sea breeze often leaves clear skies when inland is cloudy so we get more hours of sunshine than most of Lancashire. Most summer weekends you will find day trippers relaxing on the beach. Crisp, breezy autumn and winter days give a great chance to blow away the cobwebs with a walk along the beach! See Lytham St Annes weather forecast. 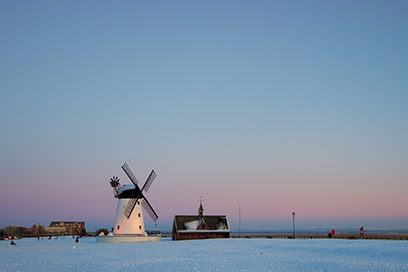 What free activities are there in Lytham and St Annes? There are several free play areas at Ashton Gardens in St Annes and also near the beach huts on the sea-front. Fairhaven Lake has tennis courts, and skate park and toddler pirate park. 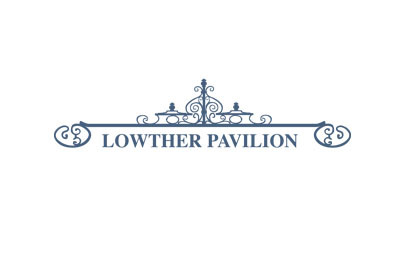 Towards Lytham, Lowther Gardens has a toddler play area and Park View 4U in Lytham accommodates all ages with larger playing fields, a BMX track, a sand & water play area and climbing frames. If you want to head inland the Witch Wood and Lytham Hall offer lovely walks. 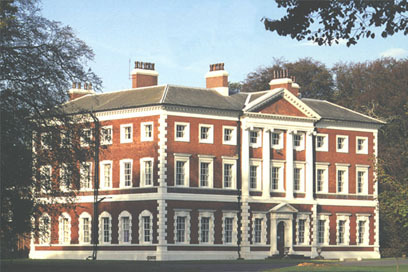 Lytham Hall often runs free or low cost activities throughout the year. If you visit in the summer, St Annes Carnival and Lytham Club Day are great family days. Is the Fylde coast good for running? Yes, it's a great place to run along the beach, but also the wide promenade runs the length of the coast. Park Run is also held every Saturday in the grounds of Lytham Hall. Where can I park in St Annes? Free street parking runs along the promenade and adjacent roads, but it does get busy on sunny days. 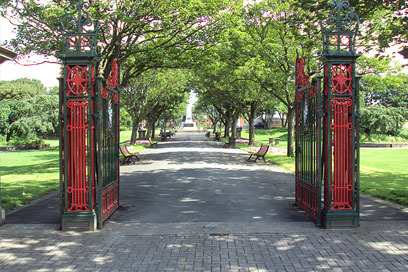 There are large council run pay & display car parks at North Promenade, The Pier, The Island Complex and at Fairhaven Lake. Is there a cinema in St Annes? Yes, the Island Cinema is an independent 4 screen cinema showing the latest films at very reasonable prices, booking in advance is advisable for popular films. Lytham's best known landmark on the Green. A well-maintained Grade II Listed garden. Host to events throughout the year. Enjoy a fun day out at the UK's most ride intensive theme park. 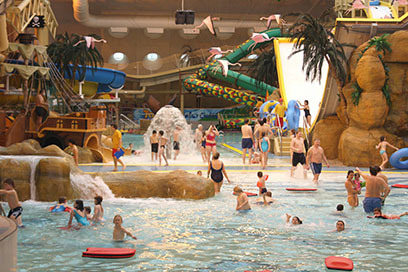 The UKs Largest Indoor Waterpark. The Waterpark features over 18 slides. 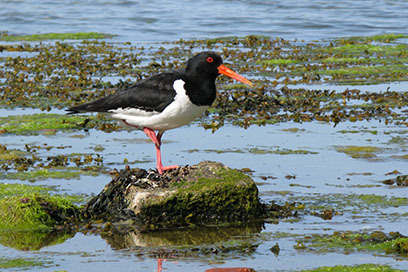 Fairhaven Lake and the Ribble Estuary are a haven for over 270,000 birds each year. 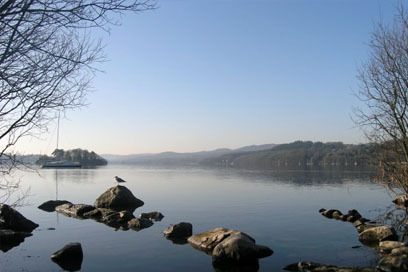 Lake Windermere is just an hours drive from the Fylde coast. 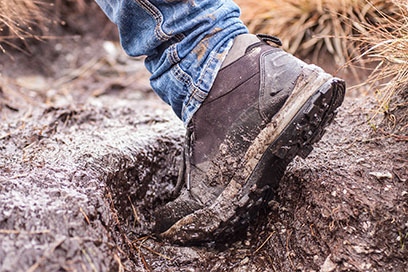 For stunning scenery all year.